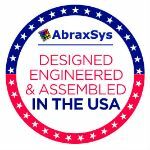 AbraxSys aluminum bezels and enclosures are machined from a high-quality, heat treated aluminum alloy with a mechanical property of T6 temper 6061 which has an ultimate tensile strength of at least 42,000 psi (290 MPa) and yield strength of at least 35,000 psi (241 MPa). We then apply Zinc Chromate, a corrosion resistant agent that is added to certain coatings. Even today, chromate finishes including Zinc Chromate provide superior corrosion resistance. Additionally, Zinc Chromate protects the surface from proliferation of organic matter. In the aircraft industry of the 1940s, Zinc Chromate was used as an anti-corrosive barrier primer; it could be described as a sort of painted-on galvanizing. It has been developed by Ford Motor Company by the late 1920s, subsequently adopted in commercial aviation and later by the US Military. Official USAAC notes mention successful application of Zinc Chromate primer starting from 1933, but it has not been adopted as standard until 1936. Finally, an industrial grade textured Powder Coating is applied. Powder Coating is a type of coating that is applied as a free-flowing, dry powder. The main difference between a conventional liquid paint and a powder coating is that the powder coating does not require a solvent to keep the binder and filler parts in a liquid suspension form. The coating is typically applied electrostatically and is then cured under heat to allow it to flow and form a "skin". The powder may be a thermoplastic or a thermoset polymer. It is used to create a hard finish that is tougher than conventional paint. Many characteristics of powder coat make it a superior alternative to wet spray paint, including the following. Dry Film Thickness – Powder coat is 4 to 10 times thicker than traditional liquid spray paint. Wet paints are applied in thicknesses of 0.5 to 1 mil (a mil is one one-thousandths of an inch, or 0.001-inch). Powder coat is applied in thicknesses of 6 to 10 mils for functional industrial finishes. Hardness – Powder coat is physically harder than wet paint. This property translates into significantly greater scratch and chip resistance, and thus generally better durability. Flexibility – Powder coat can withstand bending without cracking or flaking. Powder manufacturers publish flexibility test results that demonstrate between 100-800% elongation before failing! 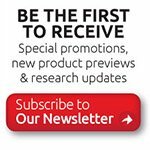 Corrosion Resistance – Proper pretreatment and powder coat finish selection results in corrosion resistance which can far surpass traditional spray paint. Published textured powder coat test results show salt spray tests of 1000 hours and longer without failure, and functional coatings are even more corrosion resistant. United Laboratories (UL) will even certify properly applied black powder-coated finishes for NEMA 4X (IP66) ratings.